Marijuana is the most widely used illicit drug, with 22.2 million current users.2 While there has been much controversy about whether marijuana is habit-forming, research on its impact on the brain and body lends strong support to it being addictive. Why some experts consider marijuana addictive. Marijuana addiction treatment and recovery options. Short- and long-term effects of marijuana use. Who Answers? . A trained recovery support specialist is standing by to take your call. This subset of marijuana users will develop the signs of substance dependence, and may experience physical and emotional symptoms when trying to quit or limit their use. Stopping marijuana after using for a period of time can lead to withdrawal symptoms, including irritability, anxiety and sleep problems. Withdrawal symptoms can feel uncomfortable and, in some cases, trigger a relapse. Taking cannabis in larger amounts over time. Unsuccessful efforts to reduce cannabis use. Spending long amounts of time obtaining, using or recovering from cannabis use. Cravings, or strong urges, to use. Problems fulfilling roles at work, school or home because of cannabis use. Giving up important activities in favor of cannabis use. Using in unsafe situations, such as while driving. Continuing to use cannabis despite physical or psychological problems. Preferring to spend time with others who also use marijuana. Finding hidden paraphernalia and drugs. Consistently bloodshot or red eyes. Questions About Paying for Rehab? Who Answers? to talk to a treatment support specialist about what kind of treatment your insurance covers. The cost of treatment for marijuana addiction varies from program to program. Typically, the cost of inpatient treatment ranges from $2,000 to $25,000 (some luxury rehab programs can cost up to $50,000 or more) for 30 days. Outpatient programs range from free to $10,000 for 30 days. Health insurance plans, including Medicaid and Medicare, may cover all or a portion of the costs of addiction treatment. If you have insurance, call the number at the top of this section to find out which programs your insurance covers and the costs that you will be responsible for, including co-pays and deductibles. Set up a payment plan with the treatment program. Finance treatment through a healthcare credit card. Borrow money from friends or family. Use personal savings or 401(k) funds. If you need help finding marijuana rehab programs in your area that cater to people without insurance, call the Substance Abuse and Mental Health Services Administration’s toll-free helpline. Inpatient drug rehab programs allow you to live at a facility while attending group, individual, and family therapy. A benefit of inpatient treatment is that you can take a break from work and home responsibilities and focus exclusively on recovery. 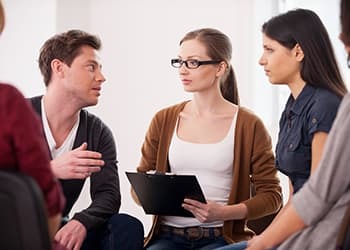 Outpatient drug rehab programs allow you to live at home or at a sober living facility and attend treatment for a few hours during the day or evening. Outpatient programs typically offer group and individual therapy. Dual diagnosis recovery programs treat both mental health disorders and addiction. People with depression, anxiety and other mental health disorders can benefit from a team of mental health professionals who are also qualified to treat addiction. Dual diagnosis treatment can occur on either an inpatient or outpatient basis. Twelve-step programs focus on the philosophy of Alcoholics Anonymous. They offer a supportive and spiritual approach that involves connecting with other sober people. Narcotics Anonymous (NA) is a 12-step program that is open to anyone struggling with drug addiction, including marijuana. NA helps people recognize their powerlessness over their addiction, build a support network of other sober individuals and connect with a higher power. NA meetings are widely available in the United States and around the world. Marijuana Anonymous (MA) is similar to Narcotics Anonymous but focuses solely on helping people recover from marijuana addiction. SMART Recovery is a self-help group that focuses on changing unhelpful thinking and on teaching tools to prevent relapse. Nar-Anon is a 12-step program that provides support to family and friends of people addicted to drugs. The number of people who recover from marijuana addiction is unknown. This is because surveys on addiction recovery often focus on other drugs such as cocaine and heroin. Marijuana is often seen as a secondary addiction and thus often goes unreported. Despite the lack of information on marijuana addiction recovery rates, the same treatments that are effective for treating other addictions – including cognitive behavioral therapy (CBT) and relapse prevention techniques – are also effective for marijuana addiction. Here are some things to keep in mind as you begin to look for a substance abuse treatment program. The length of treatment varies depending on the program. Many programs start at 30 days, but may last for 90 days or more, as needed. Quitting marijuana may be more difficult for people who have been using for a long time, who take large amounts and who also struggle with mental health issues. Inpatient rehab program are often sought in these more complicated cases. Many people who use marijuana struggle with mental health problems such as depression, anxiety or attention-deficit hyperactivity disorder.3 Dual diagnosis treatment programs specialize in treating both mental health disorders and drug addiction. Some people who are dependent on marijuana are also dependent on other drugs. Treatment can help users quit multiple drugs, including tobacco. 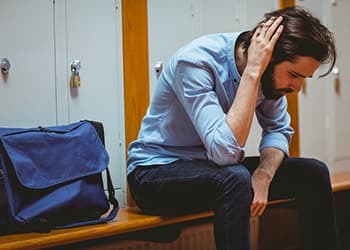 Dependence on marijuana can result in several short- and long-term effects that may negatively impact your ability to function at work or at school or maintain relationships with other people. An increase in risky behaviors. Impaired short- and long-term memory. Chronic cough, throat irritation, and, in severe cases, emphysema. Robert Downey Jr., Lady Gaga, David Letterman, Eric Roberts and Macklemore are just a handful of celebrities who have admitted to having problems with marijuana in the past. Watch Lady Gaga discuss her addiction to marijuana in an interview with Elvis Duran on the Z100 Morning Show on Friday, Nov. 8, 2013. Does Marijuana Addiction Increase the Risk of Mental Illness? Long-term marijuana use has been linked to a higher risk of mental health problems, including depression, anxiety and psychosis.10 However, research has found that a person’s genetics play a role in whether or not marijuana will lead to mental illness. People who carry the AKT1 gene have been found to be at higher risk of experiencing psychotic symptoms, such as hallucinations and delusions, after using large amounts of marijuana. Can Smoking Marijuana Change Your Personality? Marijuana has been found to increase impulsivity and decrease motivation. Fortunately, when people quit using, it is possible for these symptoms to diminish or go away completely, especially when treatment addresses mental health symptoms. If you are concerned that you or a loved one may have a marijuana addiction, call our helpline at 1-888-319-2606 Who Answers? to speak with a recovery support specialist who can answer your questions, provide information on treatment options and assist you in finding a way to pay for treatment.
. Budney, A. J., Roffman, R., Stephens, R. S., & Walker, D. (2007). Marijuana dependence and its treatment. Addiction Science & Clinical Practice, 4(1), 4-16.
. Crean, R. D., Crane, N. A., & Mason, B. J. (2011). An evidence based review of acute and long-term effects of cannabis use on executive cognitive functions. Journal of Addiction Medicine, 5(1), 1-8.
. Khalsa, J. H., Genser, S., Francis, H., & Martin, B. (2002). Clinical consequences of marijuana. The Journal of Clinical Pharmacology, 42(S1), 7S-10S.
. Ashton, C. H. (2001). Pharmacology and effects of cannabis: a brief review. The British Journal of Psychiatry, 178(2), 101-106.
. Hall, W., & Degenhardt, L. (2009). Adverse health effects of non-medical cannabis use. The Lancet, 374(9698), 1383-1391.
. National Institute on Drug Abuse. (2015). Research Report Series: Marijuana. NIH Publication Number 15-3859.